Set your phasers for stun, gang! 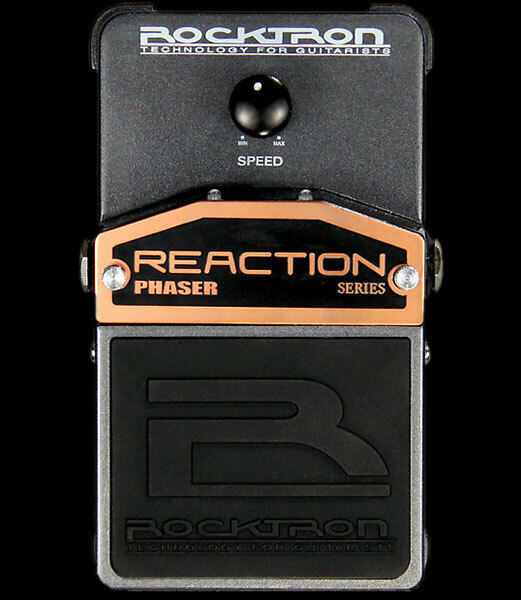 Rocktron brings you the Reaction Phaser, a classic phaser pedal that will add a great effect to your arsenal. Rocktron’s Reaction Series pedals are built into a rugged metal slim form factor chassis, taking up as little space as possible on your pedalboard. The Reaction Phaser is a TRUE BYPASS pedal: when you turn it off…it is out of your signal path! You ain’t talkin’ about phasers unless your talking about the Reaction Phaser! It’s that classic phaser sound with true bypass to boot. The footswitch on the Reaction Phaser controls On/Off status as shown by the LED indicator. Reaction stomp boxes run on a 9V Alkaline battery, or may also be powered by Rocktron’s DC OnTap Universal Power Supply adaptor.